Workers are entitled to paid annual leave. We consider their entitlement and some complications. If you're an employer in the Norwich area we, at Accountants etc, can provide you with assistance or any additional information required. 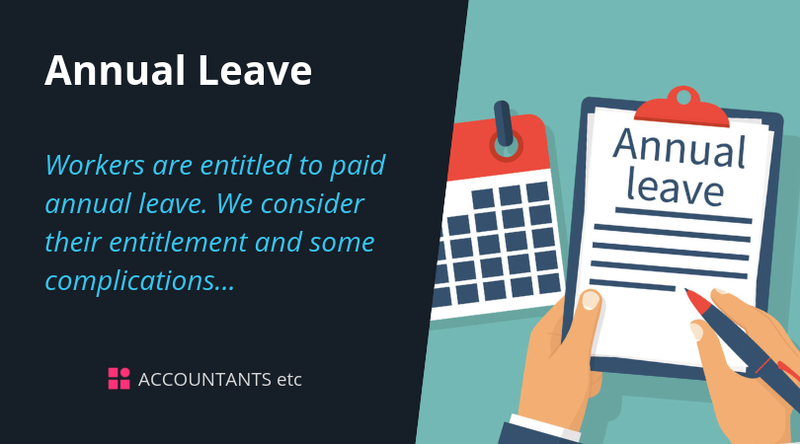 Under the Working Time Regulations 1998, workers are entitled to paid statutory annual leave of 5.6 weeks (28 days if the employee works five days a week). This basic entitlement is inclusive of bank holidays. This annual leave entitlement is now closer to that of workers in other European countries, where holiday allowance is typically more generous. Workers in Ireland are entitled to 29 days; the highest minimum entitlement is in Austria at 38 days.